‘ZSL in the Classroom’ digital outreach sessions can be stand-alone (not linked to a zoo visit) or linked to a zoo visit as part of an education booking. Bookings are available for UK and international schools, exclusively Mon-Fri during UK school term time and are not available on public holidays or during other educational events. Bookings can only be made when there is availability, with limited slots on each available day. Once these time slots are full, there is no extra capacity on that date. Prices are for both ZSL London Zoo & ZSL Whipsnade Zoo unless otherwise stated. Prices are for a group of up to 35 children. This maximum pupil number is designated to enable student engagement during the session. Should you wish to run a session for a larger group or if you have any additional needs or requirements, please contact digitaloutreach@zsl.org and we can discuss your needs further. Bookings must be made at least two weeks in advance. This is to enable ZSL to run a test call with your lead teacher and for all resources to be prepared. Any sessions booked with less than two weeks’ notice must be agreed in advance by the Discovery & Learning Department. A test call must be booked at the time of booking your session (within the date and time slots available). This test call must be at least one week before your digital outreach session. Payment for a digital outreach session visit must be made at least two weeks in advance of the session and can be made by credit card, cheque or BACs via our Supporter Services team on 0344 967 0831. Your Skype name for the session must be provided at the time of booking and at the same time we will provide our Skype name for the session. If payment has not been made by the time of the digital outreach session then ZSL reserves the right to cancel your session. If we proceed with the session you will be invoiced, and an additional administration fee of £25 will be charged. Digital outreach prices cannot be used in conjunction with any other offer, promotion, discount or third party payment methods. Membership cards cannot be used. If you amend or cancel your booking, ZSL reserves the right to charge an administration fee of £25. that you are online and available to receive the Skype call at the specified date and time of your test call. If the above have not been prepared and we cannot connect with your class on the day we will not offer any refund or chance to re-book the session. If you did not book a test call, or failed to participate in the booked test call, and we cannot connect with your class on the day, or the connection drops out, we will not offer any refund or chance to re-book the session. If we did have a test call with you whereby connectivity was good, but could not connect to your class on the day we will re-book the session in a convenient and available slot. If the second session results in the same issue, a refund of the session cost (only) will be offered, provided that you have fulfilled your responsibilities under these terms and conditions and the failure to connect is related to connectivity issues at ZSL. It is your responsibility to ensure that you have sent a contact request to ZSL on Skype (from the Skype account given at the time of booking) and are logged on and ready to receive the test call at the designated time and date stated when you booked your session. Whilst we will do our best to re-schedule a missed test call, this cannot be guaranteed. If you need to amend the date and time of your test call, please contact us on digitaloutreach@zsl.org at least 48 hours before your original test call booking. Whilst we will do our best to reschedule your test call, this cannot be guaranteed. If we are unable to reschedule your test call, point 4.2. applies with regards to eligibility for refunds. Due to potential issues with internet connectivity, video streaming and adverse weather, ZSL will re-book the session in a convenient and available slot if there are any issues on the day related to the connection at ZSL. If the second session results in the same issue, a refund for the session cost (only) will be offered. 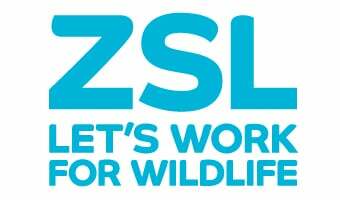 do not send a contact request to ZSL at least one week prior to their session, as we are unable to connect the call without the contact request. Due to scheduling it is essential to be logged in to Skype and online promptly for the session. If your group is not online at the time and date of your booking then the session may be shorter, resulting in some content not being able to be delivered. If you are not online 15 minutes after the designated start time of your session then we will not run the session. In the unfortunate event that we are not able to deliver the session due to adverse weather, emergency, or any other unforeseen circumstances at ZSL, we will contact you to re-book the session in a convenient and available slot. If the second session results in the same issue, a refund of the session cost (only) will be offered. If the connectivity fails before we have delivered at least half of the session and we are unable to reconnect the call (and you have received a test call as per point 4.3) then we will contact you to reschedule delivery of the remainder of the session. If more than half of the session has been delivered, the option to re-book to deliver the remainder of the session lies at the discretion of ZSL.